Through experiential approaches, Dr. John Cosby will take lecture attendees through a journey of the 5000 year old recorded practice of Ayurvedic medicine. Ayurveda, literally means the “science of life,” is the oldest known medical paradigm in the world and seeks to brings balance between the body, mind and spirit through holistic approaches. Ayurveda is unique in that it is based upon a tri-doshic system with the understanding that the human body has three main ‘doshas’ or constitutions: vata, pitta and kapha. Dosha-testing allows for the diagnosis of physiological and emotional dispositions of individuals based upon types, enabling the prescription of specific healing regimens for all combinations of doshas. Dr. Cosby will focus on diagnosing doshas and highlight best practices, food, herbs and dermatology that support healthy balance for each dosha. Participants will be invited to test dermatology and massage products that meet their needs and will be taught how these product elements can bring health and vitality to their lifestyle. Family physician who is a graduate of Michigan State University School of Medicine and has been a practicing for over 17 years. Dr. Cosby began studying Ayurveda in 1989, and established two Integrative medicine clinics in both NY and Florida. He has studied extensively under the tutelage of Dr. Vasant Lad in both India and the United States and has completed advance coursework in Mumbai and Pune in Ayurveda. 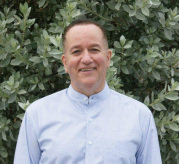 Dr. Cosby is now based in Miami, FL and continues to create interest in the joining of eastern and western medicine through lectures, consults, panchakarma Ayurvedic massage and his forthcoming book on Yoga and Ayurveda. Dr. Cosby's presentation is sponsored by Ayurdeva's Natural Products, Inc.. We are grateful for their dedication and appreciate what they bring to Vibration of Life. Check their website for more info on their commitment to a brighter future for our planet and total health for you and your family. Using and rediscovering secret formulas from the science of Ayurveda.